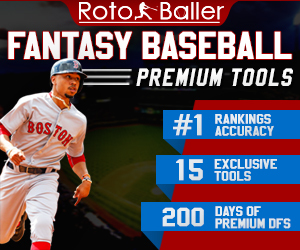 Welcome to Week 15 of NFL and fantasy football action, RotoBallers. It's time to get focused for semifinal rounds in your playoff runs. 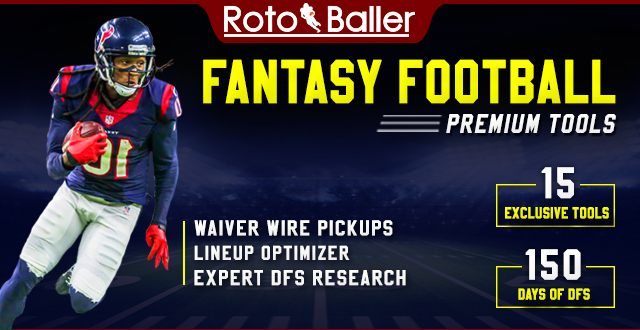 Each week of the NFL season, we will be breaking down all of the NFL matchups and providing you with fantasy football advice and lineup recommendations based on matchups that we love, matchups that we hate, and some high-risk/high-reward players, as well. 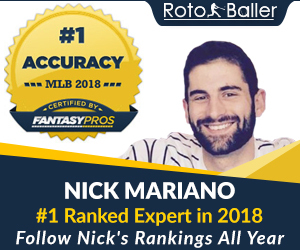 Below, you will find our Week 15 NFL matchups & fantasy football start/sit analysis, which should help you prepare your lineups to win this week and in your playoff matchups. It’s essential to analyze the weekly NFL matchups to find lineup sleepers and gems, while also avoiding those players who may turn out to be busts. To read about the rest of this week’s NFL matchups, check out Start/Sit & Matchups Analysis for Games 1-8 and our Week 15 Standard and PPR Rankings. 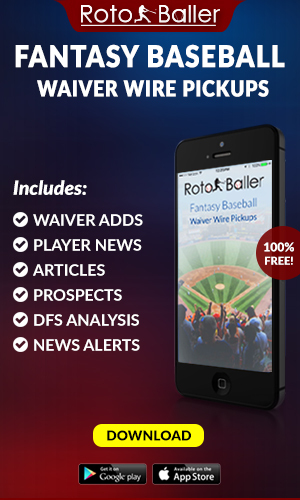 And of course you can always stop by the RotoBaller chat rooms for any live advice you may need. Aaron Rodgers: The Packers are red-hot right now, despite Atlanta's hard charge in the second half on Monday. The reason they are red-hot is because Rodgers is red-hot, and fantasy owners will reap the benefits. Jordy Nelson: He trails only Antonio Brown for points among wide receivers in standard scoring, and is Rodgers' premier deep threat. Randall Cobb: His impossible touchdown pace has slowed of late, but you can't sit him if you have him. Eddie Lacy: He's rebounded spectacularly from his rough early start, and is an RB lock for any owner who has him. Kyle Orton: Yes, Matt Ryan carved up this secondary last week during the Falcons' comeback try, but Ryan is better than Orton, and he has Julio Jones. Sammy Watkins: But on the other hand, Julio owned that secondary on Monday night. Watkins has flex appeal against this defense, especially if the Pack jump out to an early lead. Fred Jackson: He'll be the bellcow again, but it's tough to believe he's good for more than 10 points this week. Mike Evans: He's managed to find his way to 10th place among WRs in standard scoring. He may be the best of a loaded rookie class of WRs. Kelvin Benjamin: Benjamin's probably a flex play this week, but his size and the poor Buccaneers' defense make him a good bet to reach the end zone, even with Derek Anderson starting. Jonathan Stewart: To be clear, I hate Jonathan Stewart's chances at rushing for 150 yards again, something he's done only twice in his career. I fear that too many people are going to start him expecting another breakout game. Tampa Bay RBs: The backfield has been brutal this season, with Doug Martin's 2012 breakout rapidly dwindling away in the rearview mirror. You don't want any part of these backs. Vincent Jackson: He's almost a tight end in how TD-dependent he is for his production. Greg Olsen: If the Panthers are throwing in the red zone, I expect Derek Anderson will look to Benjamin and Olsen, and not many more guys. You're kidding, right? This matchup is what the term "dumpster fire" was invented for. Treat this game like you would treat nuclear waste. Denver: It's all systems go in Denver, where the weird, run-heavy game plan they employed against Buffalo will presumably be scrapped for a showdown against the Chargers team that hasn't allowed a rushing TD since week 9. Philip Rivers: He's been weirdly up-and-down recently, but he's been very successful fantasy-wise against Denver. He's good enough to hold down the fort at the QB spot for you this week. All other Chargers: Antonio Gates may be 5th overall among tight ends in standard scoring, but he hasn't seen the endzone since Week 8. The Chargers' receivers are unpredictable at best, and the running game has been a disaster. 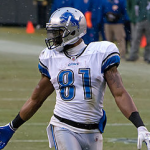 Calvin Johnson: Megatron is back, and though the Vikings are stingy against QBs this season, if the Lions do anything through the air, it goes through Calvin. Joique Bell: Bell is on fire the last couple of weeks, and the Vikings are not stingy against RBs. He's an RB2/flex with good upside this week. Teddy Bridgewater: The Lions' defense will not be a fun matchup for this rookie. You should be looking elsewhere for QBs. Jerick McKinnon: The last time the Lions and Vikings played, the Lions won 17-3. That's not a lot of points to go around in Minnesota. I'd avoid anyone wearing purple this week. Golden Tate: Tate's production has predictably fallen since the return of Megatron, and I expect most of the Lions' production to come from the ground game this week. Marshawn Lynch: Beast Mode deserves every-week start status, regardless of opponent. Everyone Else: The 49ers' offense is bad enough before you consider that the Seahawks own Colin Kaepernick, and the Thanksgiving game these two teams played featured 5 field goals. It's going to be a low-scoring affair. Russell Wilson: He could have a decent game, but the 49ers' defense is still good. If you have other options, give them a good hard look before starting Wilson. DeMarco Murray: Even when they stopped the Cowboys cold, the Eagles still gave up 17 points to Murray. You'll probably be OK starting him. Dez Bryant: Dez is probably your WR1, and if he isn't, congratulations, because you've got killer WRs. LeSean McCoy: Shady went HAM on the Cowboys on Thanksgiving, and he's still got elite talent. Start him. Tony Romo: The Eagles devastated Romo in their last meeting, and the taste is still too sour for me to recommend him to you this week. Pass on Romo. 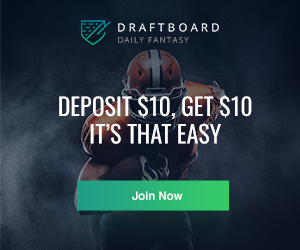 Jeremy Maclin: While he hasn't had one of those games that breaks a week wide open for you for a couple of weeks now, Maclin is still reliable enough to start as a WR2 or a flex. Jordan Matthews: He's not quite earned "every week" status, but Sanchez seems to like him and if he's one of your flex options you could be doing worse. Basically everybody: Both defenses are abhorrent. Both QBs are capable of lighting up the field. Both teams have dangerous weapons at WR and TE. Matt Forte is an elite back. If this game is anything less than a shootout, I will be surprised.